The new Apple Music headcount surfaced alongside other interesting tidbits in an hour-long sit-down session with John Gruber, published as an episode of the blogger's The Talk Show podcast. The 11 million subscriber number is ten percent higher than the last figure provided in the company's earnings call just over two weeks ago, when it was noted that over 10 million had signed up. During that call, Apple's chief executive Tim Cook emphasized that Apple had also reached the milestone of one billion devices in its active installed base. Cue's total of iCloud users is about 78 percent of that figure, which he explained was due to the fact that many people own multiple devices. Cue said that Apple's 782 million iCloud users contribute to a crush of photo uploads, iMessage communications and iTunes and App Store purchases. At peak operating status, the company's cloud currently processes over 200,000 iMessages per second, a number that translates to more than 17 billion per day. In addition, combined iTunes and the App Store purchases clock in at more than 750 million per week. Cue and Federighi also addressed Walt Mossberg's critique of Apple's first-party app development efforts. Mossberg in a recent post on The Verge pointed to much-maligned issues involving a bloated iTunes client, an aging Mail app and niggling iCloud synchronization problems. "I know our core software quality has improved over the last five years —improved significantly. 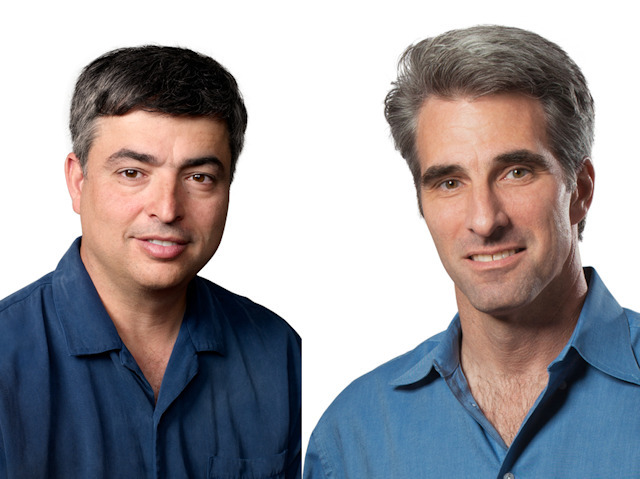 But, the bar just keeps going up, and that's a bar that we embrace," Federighi said. "Every year we realize the things we were good at least year, and the techniques we were using to build the best software we can, are not adequate for the next year because the bar keeps going up." Federighi goes on to say that niche problems are quickly amplified as devices like iPhone become an integral part of users' daily lives.